This is just brilliant! 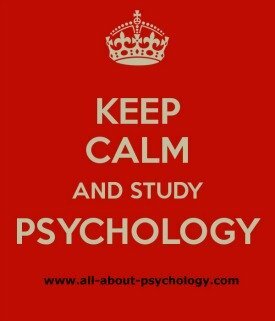 Dr. Scott Plous, professor of psychology at Wesleyan University is running a completely free 6 week online social psychology course. The course is open to anybody with an Internet connection and a few hours each week to explore some fascinating topics. Anybody doing the course will have free access to chapters from two outstanding social psychology textbooks authored by David Myers. Philip Zimbardo has granted free access to Quiet Rage, his documentary on the famous Stanford prison experiment. Students will also receive free access to other online videos e.g., Stanley Migram's classic film Obedience, a PBS documentary on happiness and two animated guest lectures on the Secrets from the science of persuasion and the power of Outrospection. Resources have also been made available from the social psychology network, the world's largest online community devoted to social psychology which Dr. Scott Plous founded in 1996. 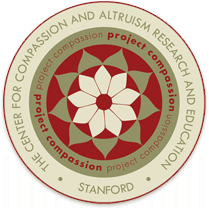 The Center for Compassion and Altruism Research and Education will provide one class member from anywhere in the world with free air tickets, food and accommodation so that they can visit Stanford, California in 2014 and personally meet the Dalai Lama! Students who successfully complete the class will receive a Statement of Accomplishment signed by Professor Plous. See following link for full course details. 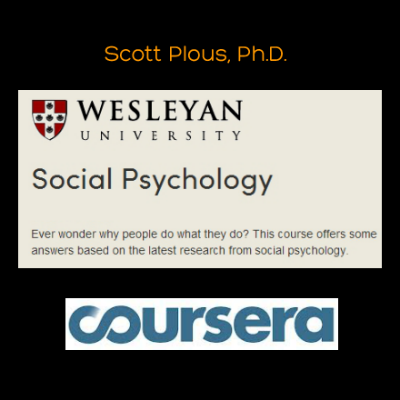 Dr. Scott Plous' online social psychology course is one of over 300 free courses created by 62 Universities from 16 countries thanks to Coursera, a social entrepreneurship initiative where courses from top colleges are made available online for free, for anyone who wants to take them. How's this for a mission statement! We envision a future where the top universities are educating not only thousands of students, but millions. Our technology enables the best professors to teach tens or hundreds of thousands of students. Through this, we hope to give everyone access to the world-class education that has so far been available only to a select few. We want to empower people with education that will improve their lives, the lives of their families, and the communities they live in. And how about this from Coursera Co-Founder Daphne Koller! "I'm a 3rd generation PhD, so it was expected that I would go to a good college. (My parents would likely have disowned me otherwise.) I was privileged to have the opportunity, and am passionate about making that available to others. I've been involved in teaching efforts at Stanford throughout my time as a faculty member, but now am committed to making great education available not just to those students lucky enough to attend Stanford, but to everyone around the world. Education should be a right, not a privilege, and I believe Coursera is a way to make that happen." Click play in the video below to learn more about Daphne Koller and Coursera.